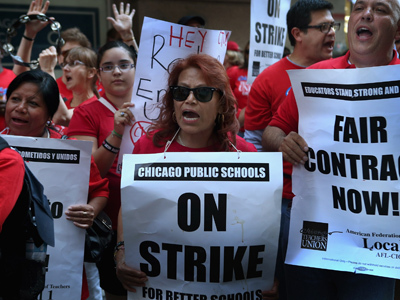 After discussing a proposed contract settlement Tuesday night, Chicago Teachers Union delegates voted to suspend their first strike in a quarter century, sending 350,000 students back to school Wednesday. 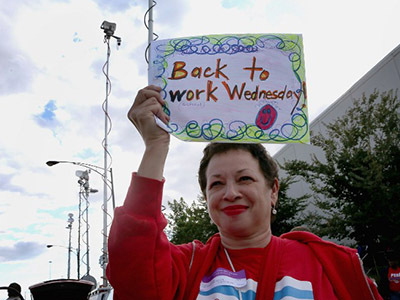 Teachers abandoned their picket lines to return to classrooms after 98 percent of the 800 union delegates voted to suspend the strike and sign a deal that was good – but imperfect. 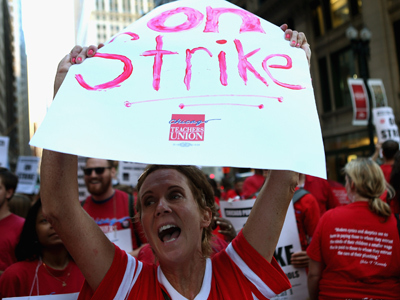 “We said that it was time – that we couldn’t solve all the problems of the world with one contract, and that it was time to suspend the strike,” Chicago Teachers Union President Karen Lewis told the New York Times. The new contract includes a new teacher evaluation method, recall rights for laid-off teachers and outlines classroom conditions. 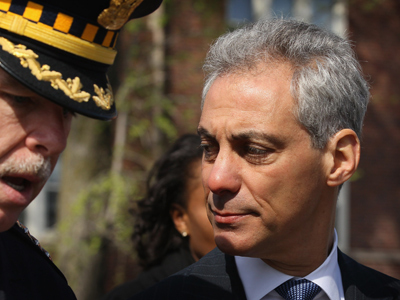 More than 26,000 Chicago teachers and staff will vote on the contract in the upcoming weeks, which Lewis predicts will pass. As some kids boarded school buses and others were dropped off by their parents, Chicago residents are relieved that school is back in session. Some parents had been forced to take off work to take care of their kids of find alternate activities for them during the strike. 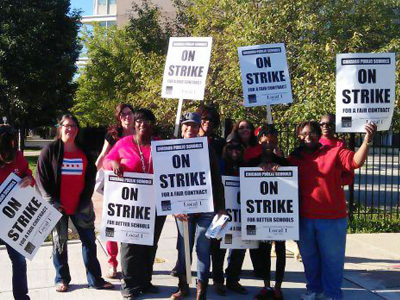 More than 140 schools were kept open by the district throughout the strike to give children a place to go. The new proposed contract would lengthen the school day and includes an average 7 percent raise for teachers over three years, with additional raises depending on experience and education. If schools have job openings, laid-off teachers will also be the first to be considered. Half of the district’s openings will go to those who lost their teaching jobs. Teacher evaluations would still be partially based on student test scores. Student scores would constitute 30 percent of a teacher’s evaluation by the third year of the contract. Teachers would have the option to appeal their evaluations – an option that they never had before. While the contract does not eliminate test scores from evaluation criteria, the improvements were satisfactory and teachers expressed their desire to get back to the classroom. “You can see the excitement. It’s on their faces, like we’re starting off afresh,” union delegate and eighth grade teacher George Drase told the New York Times. 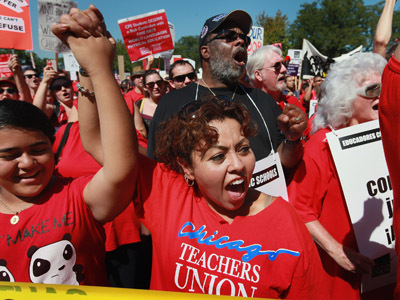 As the world watched the teachers’ strike keep 350,000 from going to school, some Chicago residents say it was an important show of the power that unions can have.